According to the latest figures for England and Wales that were collected in the Autumn of 2018 and released today, 4,677 people are estimated to be sleeping rough on any one night. Figures show a 21% reduction in rough sleeping in the East of England. Nationally, there was a decrease of 2% from 2017 to 2018. 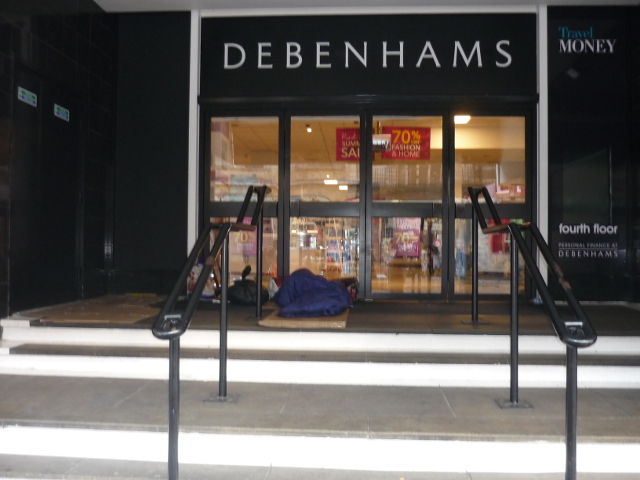 The count, which is conducted nationally by local authorities on a single night in November, includes people sleeping or about to bed down in the open air or in places that are not designed for habitation, such as stairwells and cars. Across England and Wales the number of people sleeping rough has risen by 165% since 2010. The Pathways service, commissioned by Norwich City Council in 2018 aims to reduce the number of people rough sleeping and supports people with complex needs. Its unique approach combines the expertise of seven organisations into one team allowing rough sleepers to access the elements of the service most appropriate to offer the best chance of long term stability. Councillor Kevin Maguire, Norwich City Council’s cabinet member with responsibility for safe city environment, said: “The innovative Pathways service is proving that a multi-agency, solution based approach to the complex issues surrounding rough sleeping is helping people into accommodation.